We have gotten behind on highlighting our particular formulas and how we think they may benefit you. We realize many people do not necessarily understand herbal formulas and that is why we try to highlight why we chose particular blends. The Owner was an Asian linguist for many years and so she was exposed to alternative treatments and she truly believes in them and uses them herself to treat many of her own conditions. She has been doing this for over 15 years and also recommending things for her family/friends and always encouraged doctor participation on effectiveness. Luckily, her family/friends and their doctors always supported alternative methods and if they saw improvements in blood results and overall conditions, they encourage the continued use of the items; especially as many times the alternatives were less expensive and had less side effects (again this is just her experience, others may be different). 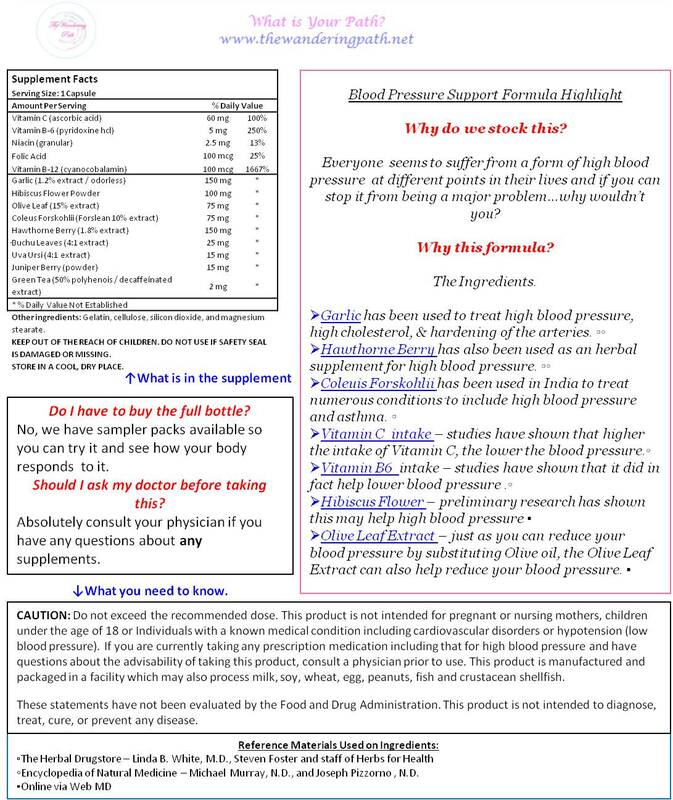 Below is a graphic highlighting our Blood Pressure formula as well as some of the ingredients and that they have been shown to help reduce a person’s Blood Pressure. The Owner and others here have all gotten those “watch your blood pressure” warnings from our doctors over the years and after seeing the list of ingredients in this formula and how they can help…it led us to stock it. As always we encourage you to do your own research.